In the past there has only been one Golden Rule for backcountry skiing: There are no friends on powder days. This is always said tongue-in-cheek and implies that powder days should be feeding frenzies where it’s every man for himself, but with the stratospheric rise in backcountry popularity, just the opposite is now true: There’s nothing BUT friends on powder days. Or at least there should be. Pro skier Lynsey Dyer wasn’t necessarily looking for a new ski sponsor. But when boutique ski maker Sego Ski Co. opened a new 5,000-square-foot warehouse and showroom literally steps from her house in Victor, Idaho—just over Teton Pass from the ski hub of Jackson Hole, Wyoming—Dyer couldn’t help but wander in. AERIS is a synthesis of stories I was told or experienced first-hand during my 10-year career as a professional snowboarder. These are voices from the fringes of mainstream culture about disruption, resilience and a life driven by passion for one thing; snowboarding. The female lead characters in our story are too raw and too real for the Hollywood system. They are not traditional role models, they are powerful women who live heroic lives. Winter is a special time of year for families to get out and enjoy nature together. While short days and cold weather present new challenges, a little extra preparation (and gear) should keep everyone safe and comfortable. Most kids love all things snowy and icy, so there’s a good chance they’ll be up for a winter adventure. Just remember to check the weather forecast before heading out, and bring hot drinks and extra food and clothing. Many areas of the country have low-elevation trails that can be hiked year-round. Hiking in the off-season often comes with the benefit of having the trails to yourself. Trekking poles and traction devices like micro-spikes may be the only gear required besides some warm layers, which makes winter hiking a simple and affordable way to get outside with the whole family. Head out on a frosty day and the kids are sure to be enthralled by formations of ice. The simplest mode of travel in deep snow, snowshoeing is a great activity when going out with kids of different ages or skill levels. Since little skill is required beyond walking, it’s relatively easy to cover terrain that would require more advanced experience on skis. Snowshoeing is at its best when there’s a layer of fresh snow, making it a perfect way to experience the magic of a snowy forest together. Humans have been sliding on snow for thousands of years and many kids will take to skis naturally. While a groomed trail network is a good place to learn, any snow-covered forest road will do. Established trail networks often have shelters that make good destinations and offer a place to have lunch out of the weather. A quiet day on Nordic skis with the family makes a great alternative to the noise and bustle of an alpine resort. Has your family mastered both Nordic and alpine skiing? If so, heading into the backcountry together can be especially rewarding for older kids who are ready for more advanced skill development. Backcountry equipment is limited for young skiers, but plastic telemark boots with 3-pin bindings offer a lightweight option (just keep in mind this setup is non-releasable). Venturing into avalanche terrain comes with high risk; however, it’s possible to stay out of avalanche terrain and still have fun. If you don’t have avalanche-awareness training and experience, hire a guide. It’s easy to let the cold and long nights intimidate you, but if you think of snow camping as backpacking without bugs, dust, rain or crowds it starts to sound pretty appealing. Spending a winter night outside together is a sure way to make some lasting family memories. Managing the bulky loads can be a challenge but is doable. Study up on snow-shelter construction and consider leaving the tent behind. Kids love forts and sleeping in one made of snow is guaranteed to be a hit. Keep in mind that building a shelter big enough for the family will take considerable time and effort, but is a good way to keep warm from sundown till bedtime. If this sounds daunting, finding a hut or yurt with ski or snowshoe access is an excellent alternative or first step. Whichever outdoor winter activities you pursue, be sure to head out as a family and experience the season together! The true gifts of the holiday season are time and people. Being able to share good moments together, outdoors and away from routines. Introduce someone to the world you know. Give friends their wish. Enjoy the beauty of winter. 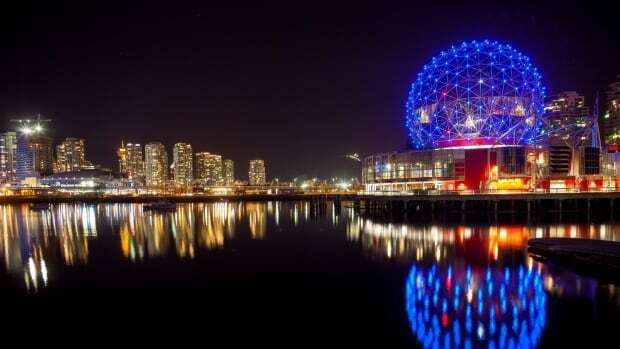 99 ways to keep busy in Vancouver (and a little further beyond) during the winter season. We wanted to write a piece that would inspire residents to explore their city and show visitors Vancouver as locals know it. Whether you're looking for an activity to escape the wet weather, a snowy outdoor adventure or to spend an afternoon admiring the arts, you're sure to find it on the list. Maybe you need date-night inspiration or simply can't think of a single thing to do on a 'blah' day. We challenge you to remain bored with 99 things to do in Vancouver at your fingertips.